Spawns a magic box in the party camp that will scale the tier of any non-unique equipment in the box based on your character level. 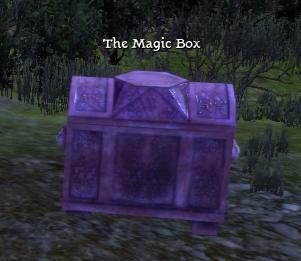 This mod spawns a magic box in the party camp that will scale the tier of any non-unique equipment in the box based on your character level. This is for those who doesn't want to spend extra coins for the merchant to scale your items. If you have an old tier 1 sword lying around when you are level 20, put it in the magic box. After you've come back from a hard day of darkspawn killing (or a quick save/load), the box would have scale the sword to a much higher tier! So if you are level 5, the box will scale to anywhere between tier 1~3. The scaling is not fixed since sometimes you want a lower tier for a character that doesn't meet the higher tier requirements.